Part of the condition that Abby has (Rhombencephalosynapsis) causes her to spin her body on a regular basis. 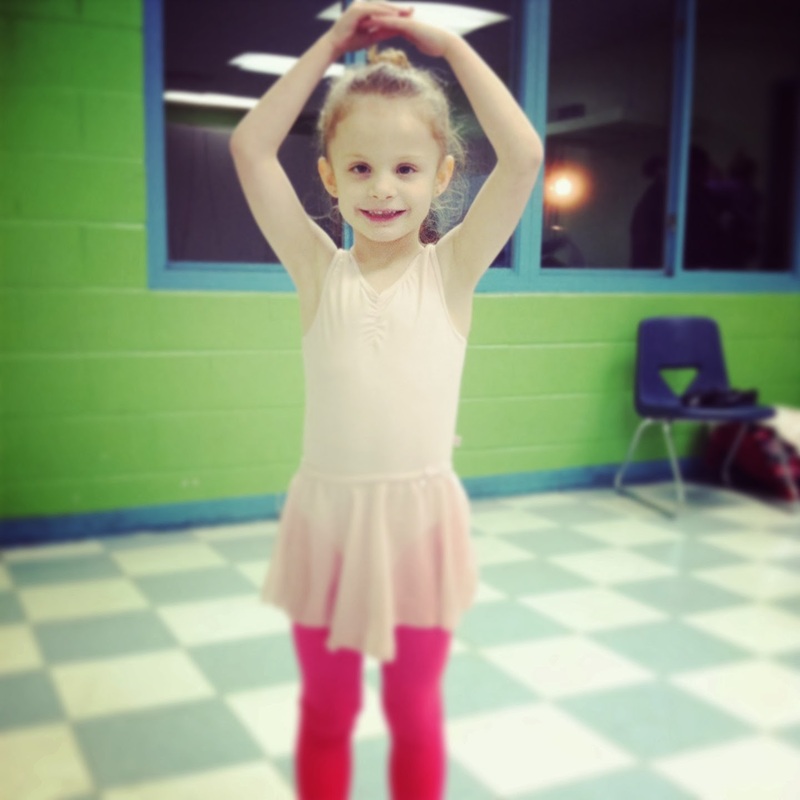 For years we wondered whether putting her in a ballet class would help or hurt her need to spin. Would it make her want to spin more? Would she fall? 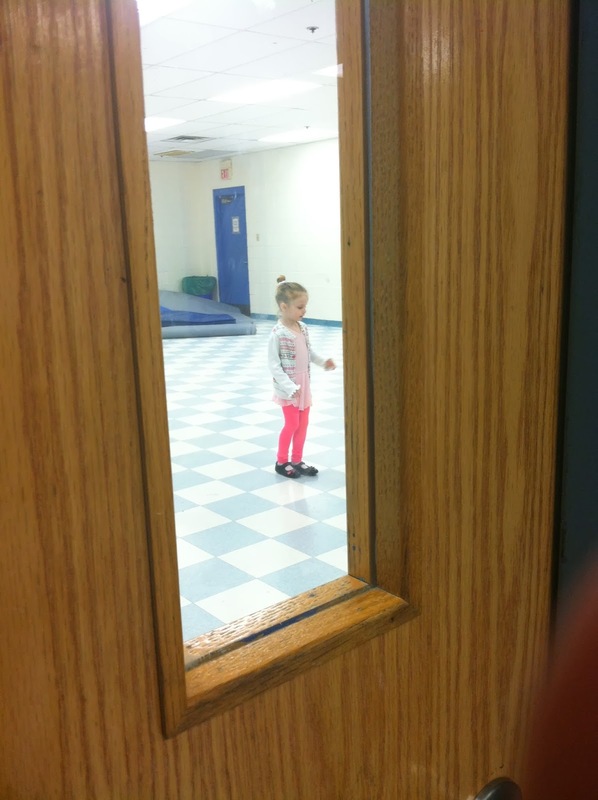 Would she be able to keep up in a regular ballet class? We decided that with all of the progress she has made in PT over the past year it was time to give it a try. 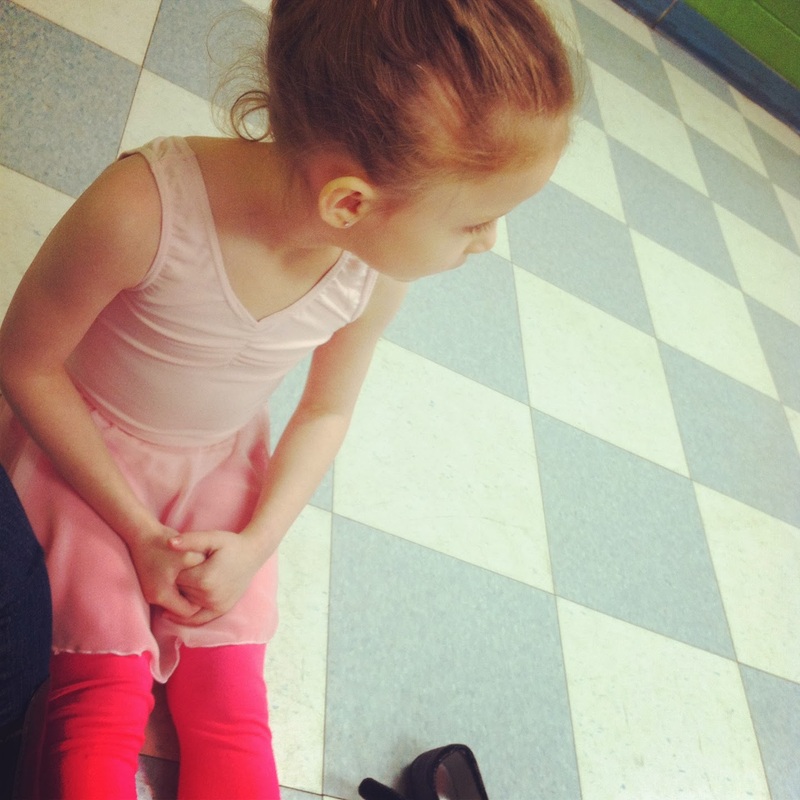 So for Christmas we signed her up for a class through the township, bought her ballet shoes and a leotard. Her first class was on Wednesday and she was SO excited. When the time came to dance she got a little nervous. I know inside she gets anxious about being able to keep up with the other kids. Thankfully she has a wonderful and patient teacher who knows that she might do things just a smidge different but she CAN do them. She tapped and tapped for the first half of the class. I think all the tapping gave her awesome input. 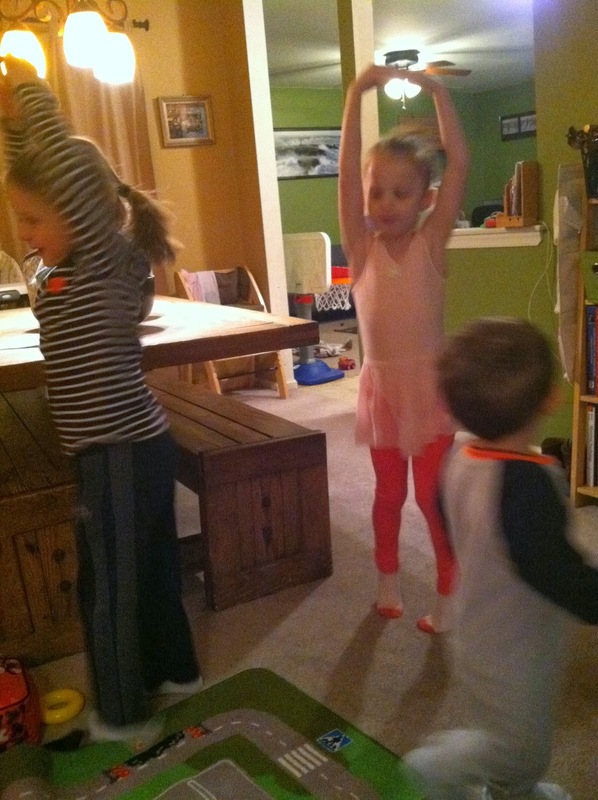 The second half of the class was ballet. 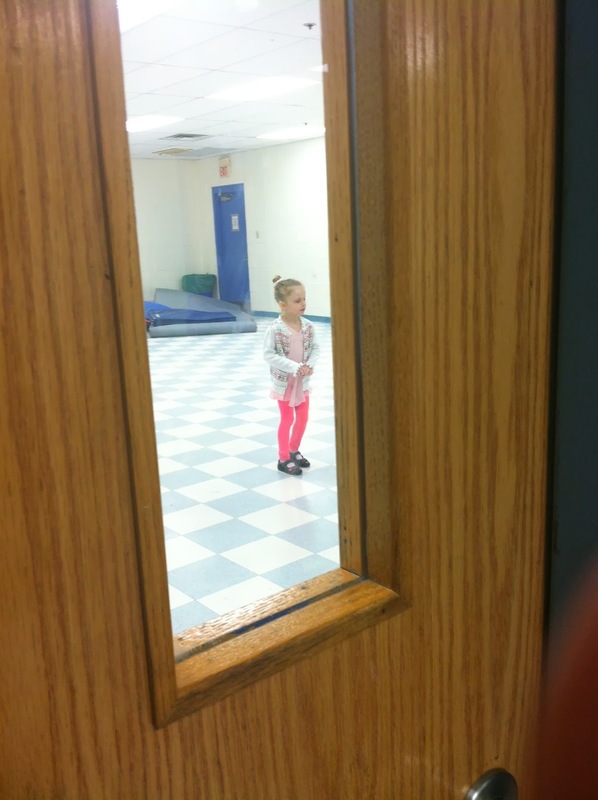 She looked like she was born to be a ballerina. After class she came home and taught her siblings all her positions. 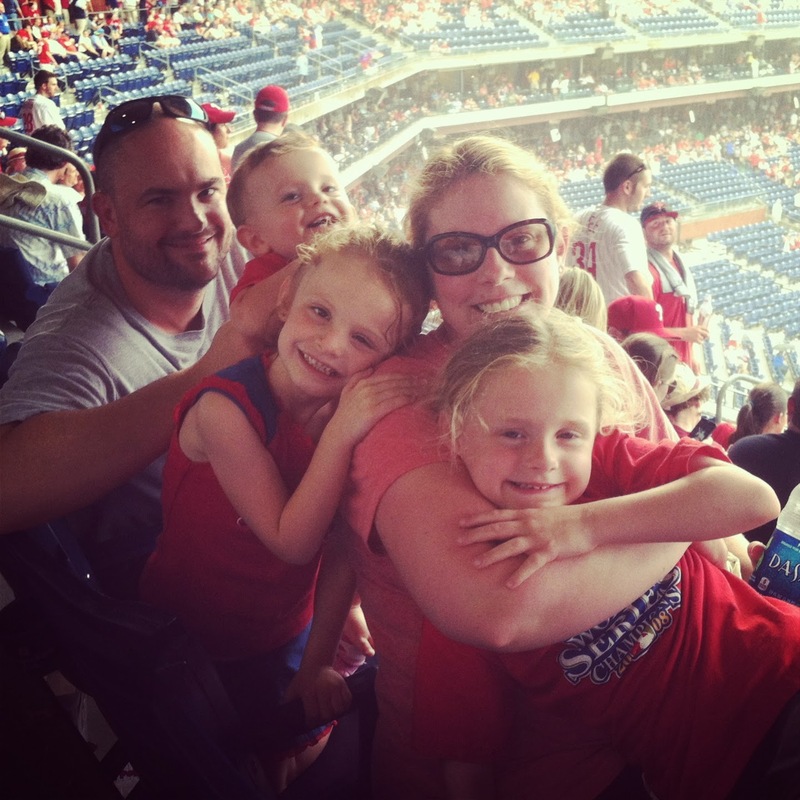 I don't know which part I love more: Abby doing so well, or her convincing Grace to join the class.